The US has watered down its demands for China during trade negotiations. Reuters cited sources close to the talks as saying the US will not impose strict requirements that China curb industrial subsidies as a condition for a trade deal. Washington policymakers are beginning to understand that Beijing will not change its economic model, so it is better not to issue impracticable demands and focus on other aspects of the relationship between the countries. In the last several weeks, markets remained optimistic amid positive reports on trade negotiations between the US and China. Treasury Secretary Steven Mnuchin said that the two countries are approaching the final stage of resolving their issues. US President Donald Trump made an even more encouraging statement: the final meeting between leaders of the world's two largest economies, during which a trade agreement is slated for signing, can take place within weeks. The trade imbalance is not the only reason Trump has decided to impose increased tariffs on goods worth $250 billion against China. The US had several concerns, including restrictions on the access of American companies to China's markets, forced technology transfers, exchange rate undervaluation, and subsidies to state-owned companies. On most issues, the negotiators were able to bring their positions closer. China has recognised, for example, that forced transfer of technology really exists and promised more protection for foreign investors. The seriousness of its intentions was confirmed by the swift adoption of a new foreign investment law. In addition, China has offered a path to eliminate the US trade imbalance within the next 6 years. 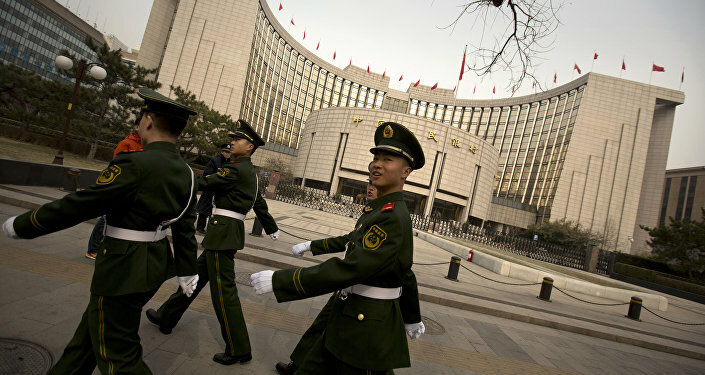 The US negotiators also noted Beijing's promises to keep the exchange rate at an acceptable level. However, the issue of China granting subsidies to state-owned companies has become a stumbling block in trade negotiations between the two countries. The United States argued that Beijing, by subsidising domestic companies, was undermining the foundations of fair competition, which violates the obligations assumed by China upon joining the WTO. China, in turn, categorically refused to change its industrial policy and declared that the United States should not interfere in its internal affairs. According to Reuters sources, the US gradually realised that it is impossible to force Beijing to reform the already-established economic model of state capitalism. China would rather refuse a deal all together than agree to conditions it considers unacceptable for the country. In this case, Washington has decided that it's better to focus on other important areas of US-China trade relations and to mention Beijing's policy of industrial subsidies to their firms in the final agreement only briefly. The softening of America's position is due to its reluctance to lead negotiations into a dead end, especially since the United States does not have enough grounds for such claims, according to expert Li Kai from Shanxi University of Finance and Economics. "I believe that government subsidies are a key issue in trade negotiations between China and the United States. The probability that China will make concessions over this is extremely small. In addition, the United States does not have sufficient grounds to demand any concessions from China, since America uses similar methods. In the US, many companies have grown to their current size thanks to various government subsidies. So, it's unacceptable to demand that the Chinese authorities refrain from helping firms," the Chinese expert said. "Indeed, the Chinese authorities have used various means to support manufacturing industries and subsidise enterprises in order to help them overcome financial difficulties. In this regard, China will not back down. Otherwise, the development of Chinese companies will stall. During the forty years of reform and implementation of openness policy, many Chinese companies developed solely by relying on government support. I think the United States made concessions not only because the Chinese authorities were tough on this issue, but also because they felt that their position was insufficiently substantiated. Compared with the trade imbalance and currency exchange rate — the issue of industrial subsidies is the most difficult one. It is extremely difficult to reach a consensus on it. If the US makes concessions, and this issue is resolved, then we can assume that the trade dispute is generally resolved and negotiations are nearing an end." It is possible that Washington realised that without the state regulation of the Chinese economy, it is impossible to satisfy other American demands. For example, plans to reduce the trade imbalance will be possible, mainly by increasing the volume of American goods imports by Chinese companies. Under the conditions of a completely free market, it is extremely difficult to enforce such a state directive. Another requirement — to keep the yuan exchange rate stable — also implies the intervention of financial regulators. Finally, the US policy of restricting the export of high-tech products to Chinese companies is motivated by the fear of intellectual property theft, and also involuntarily pushes Beijing to boost its own research and development, and this process requires substantial state support. Now, as China and the US reach a compromise, the contours of the future agreement are becoming clearer. There's progress on another controversial issue concerning trade negotiations between China and the United States — creating a framework to monitor China's implementation of commitments. Initially, the United States did not want to cancel the existing tariffs immediately, after the signing of the agreement in order to maintain an instrument of additional pressure on Beijing. China insisted that tariffs should be removed by both parties on the basis of reciprocity. However, last week, US Treasury Secretary Steven Mnuchin said in an interview with CNBC that the two sides have agreed to set up "enforcement offices" to monitor progress on trade reforms, adding that it "is something both sides are taking very seriously".